Carriage by CrossRoads RV has been a household name since the 60’s. 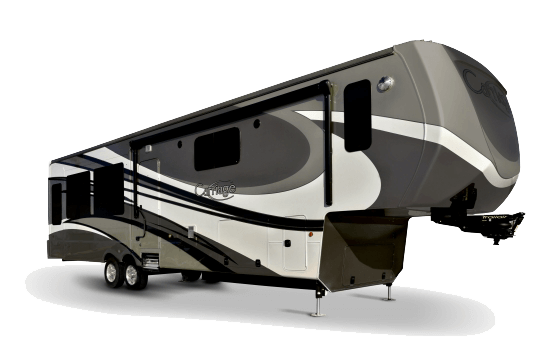 Carriage features ‘class A’ quality and craftsmanship in a fifth wheel package. Carriage models have amenities like full-body paint, hand-laid tile flooring, 55 inch TVs, opposing bedroom slides, and a variety of other high-quality details. These fifth wheels also have the largest I-Beam chassis in the industry not to mention aluminum construction and steel trusses. Energy-saving features include residential-grade insulation and reflective foil which also makes this a true year-round coach.